"batocera.linux" text then a black screen? Whenever I try to boot Batocera from a USB (I have tried different USB Flashers and different USB Sticks) but whenever I try to boot it, I get text in the top left of my screen that says "batocera.linux". It then disappears a few seconds later and I am left with a black screen (i left it on this black screen for about 30mins but nothing happened). I am not sure what to do now. Also its my first time posting here so sorry if it isn't in the right section or something. Thanks! 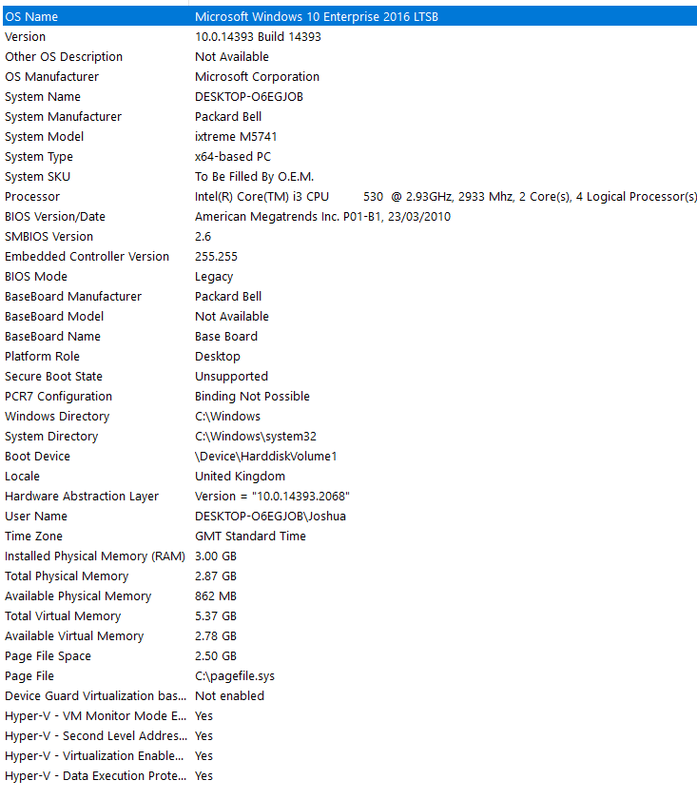 What are the specs of your PC? Did you already test your flash drive with another PC? My laptop recently broke so I cannot test it on another PC. lolicop123 for your specs you need to download the old version of batocera. if you go to download section you will see 2 images old and standart , download the old . Okay, my parents also have a PC with an Intel Core i3-530. I could test batocera on their PC, when i visit them next Weekend, to see, if i also get a black screen. Does your PC have a graphics card installed or are you using the iGP from the i3-530? When you have windows on your PC then install the free version of speccy and there you have the overview of processor, motherboard, RAM and graphics card. Yes, there have been changes from 5.19 to 5.20 and some problems are already known and the developers are working to fix it for 5.21. So i suggest you better stay at 5.19 if it works good for you and wait until 5.21 is out. Anyone a link the 5.19? Works running off USB(5.19) but if I install to the harddrive is stops working again. Is this installing 5.20 to the harddrive? lolicop123 i mean OLD .on download section you have standart and old version download the old .